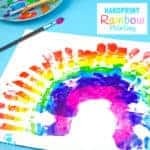 Have you or the kids tried making polymer clay beads before and been disappointed with how they turned out? Lots of people find it quite tricky to make polymer clay beads. Getting them the same shape and size and keeping their roundness whilst baking can be problematic and the results are often disappointing! 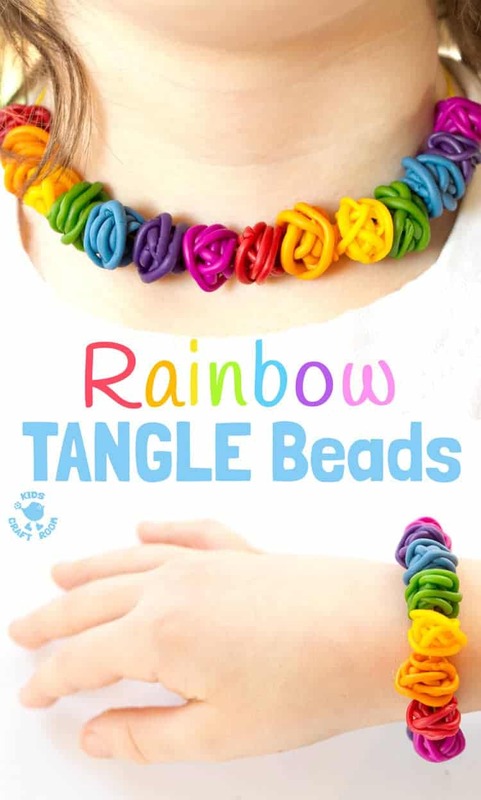 But don’t despair, because these Gorgeous Rainbow Tangle Beads are foolproof! 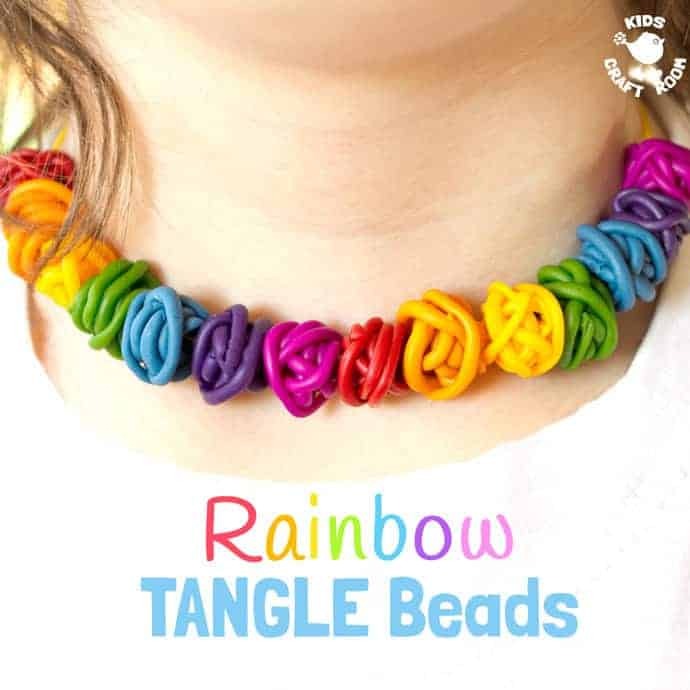 Polymer clay rainbow tangle beads are easy enough for kids and grown ups to make. 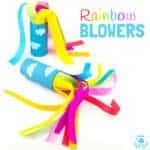 They are so colourful, fun and quirky and they always look amazing! 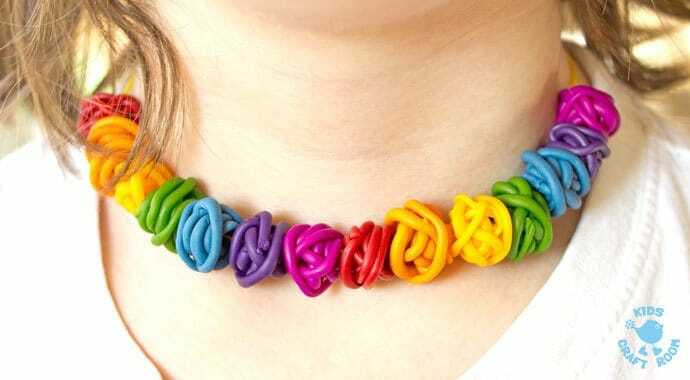 Polymer clay tangle beads are easy to make in any colour or size you like. 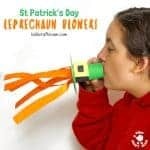 We made ours in Rainbow colours as a St Patrick’s Day craft but anything goes. 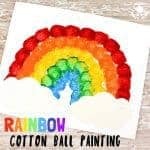 These homemade beads are so fun and quirky they really do suit kids and grown ups equally and are a great way to make homemade gifts on a budget. 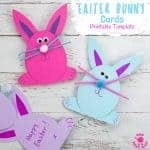 Before you get started reading the tangle bead tutorial don’t forget to bookmark some of our other jewellery crafts to try with the kids later too. 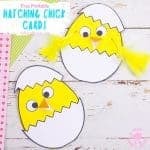 Saving them to your Facebook or Pinterest is an easy way to find them again later and share them with your friends. 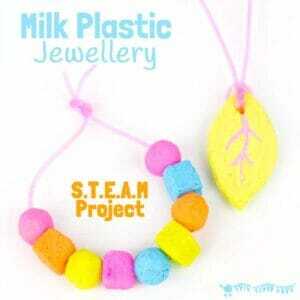 Milk Plastic Jewellery is a fun STEAM activity to explore with the kids. 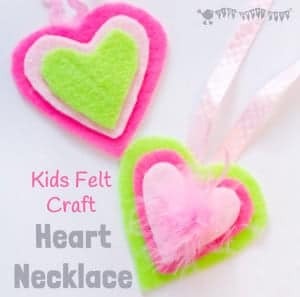 No Sew Felt Necklaces are great for when you want to keep things super simple and Rainbow Pom Pom Jewellery is a vibrant easy sew project perfect for tweens and teens. 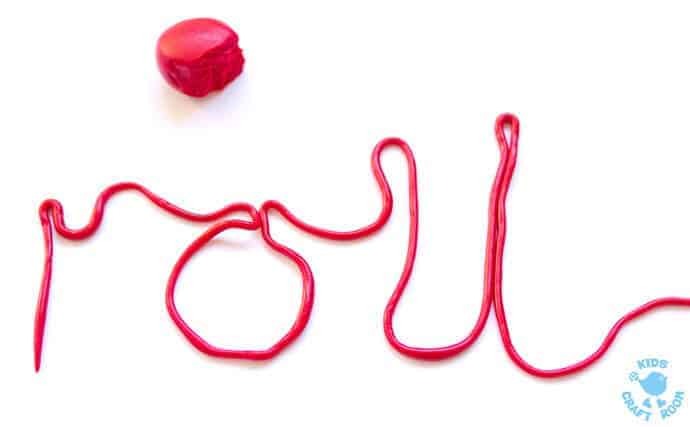 These tangle style polymer clay beads are super easy to make. 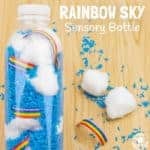 Each one is totally unique and I love that you don’t have to worry about keeping them all the same! Start by softening a small amount of polymer clay by warming, kneading and working it with your fingers. 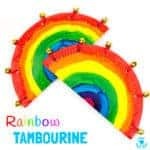 When it’s nice and supple roll it out into a long string. You can make these clay strands as thick or thin as you like. Our polymer clay beads were made from threads approximately 1-2mm thick. 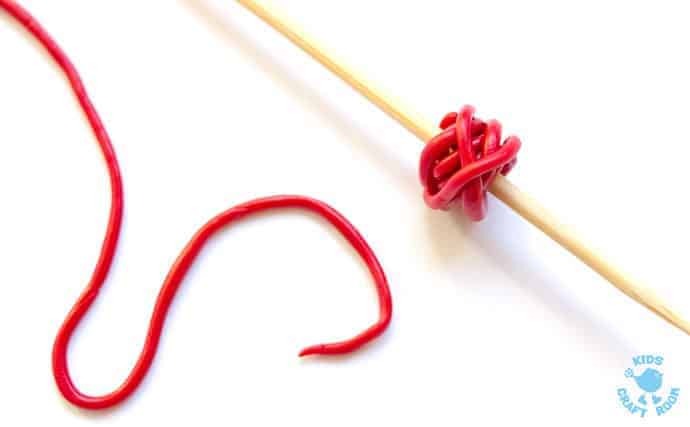 To make your tangle bead loosely and randomly wrap the polymer clay around your skewer until you achieve the size of rainbow tangle beads you like. Ours were about 1 – 2 cm. Break off any excess polymer clay and gently push the loose end down into the bead to secure it. 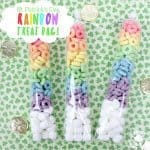 Carry on making polymer clay rainbow tangle beads along your skewers until you have enough for your homemade jewellery. 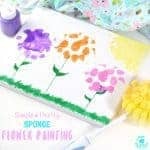 This is a great jewellery craft to use up those odds and ends of polymer clay colours you might have stashed in your craft cupboard. 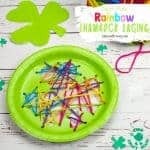 To bake your rainbow tangle beads pop the polymer clay skewers onto a baking tray and bake according to the instructions on your polymer clay packet. There are lots of different brands and each may have different baking requirements. 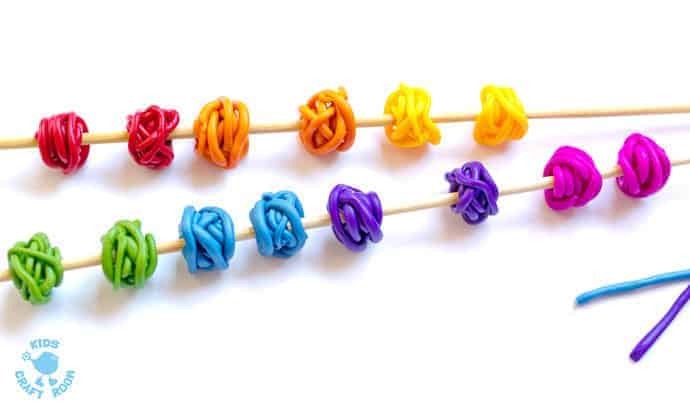 When your polymer clay rainbow tangle beads are baked and cooled simply thread them on to your coloured elastic thread to make your jewellery. We think they look super as necklaces and bracelets. 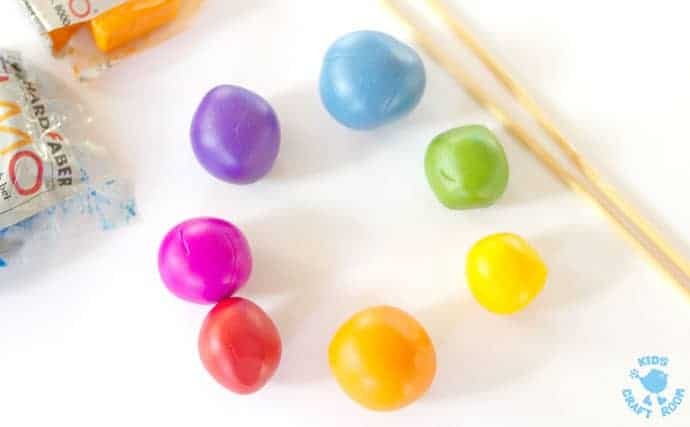 Whether you’re crafting these polymer clay beads for yourself or with your kids they’re sure to be a hit! 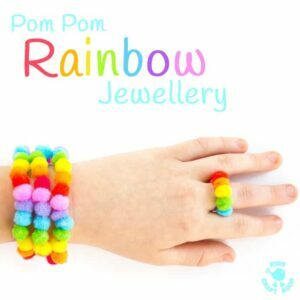 Who could resist such quirky fun jewellery? I love hearing how you get on, leave a comment below, come and chat on Facebook or sign up to our email updates.